The Waste Land chronicles the adventures of Hugh de Verdon, monk turned knight, during the extraordinary historical events of the First Crusade. He journeys from the great Benedictine monastery of Cluny to Constantinople, Antioch, and Jerusalem. He encounters the Assassins, endures a personal epiphany and discovers the “truth” behind the Holy Grail. Hugh de Verdon’s tale is retold by a group of desperate Oxford professors, based on his autobiographical manuscript, discovered in their college library. Their humorous – and murderous – story also provides a commentary on the eleventh-century events and shows that they are perhaps not all they seem. The Waste Land, a novel of the First Crusade and the Holy Grail, opens in the modern day, in the senior common room of a fictional Oxford College. The Master of this College, which is facing a serious financial shortfall, invites a former student, now a Best-Selling Author, to dine with the College's senior fellows. At the dinner the Master reveals to the Best-Selling Author that a contemporary chronicle of the First Crusade, written by a young knight who experienced it firsthand, has been found. In an effort to overcome the financial difficulties being experienced by the College, the Master wants the Author, with the help of the College's fellows, to craft the text into a novel. The Best-Selling Author agrees, and what follows is a narrative that alternates between the Crusading adventures of Hugh de Verdon, and the various goings on amongst the Author and the fellows at Oxford as they attempt to craft Hugh's tale into a best-selling book. The greatest strength of The Waste Land is Acland's lovely prose and his attention to detail, both of which help to create a strong sense of time and place. 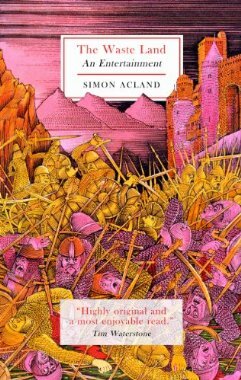 Through Hugh, Acland is able to bring to life some of the personalities, places and events of the First Crusade. 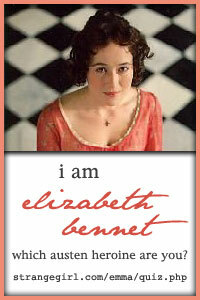 The sections of the novel set in Constantinople and Antioch are particularly well done. Hugh is a well-developed character, and I enjoyed watching him come into his own as the novel progressed. For those readers such as myself who are not familiar with the history of the First Crusade, Hugh proves to be an excellent vehicle through which to convey this history. But The Waste Land isn't simply a work of historical fiction about the First Crusade, it is also a historical thriller that sees Hugh set off on a quest to uncover a lost gospel, one which contains the truth about the Holy Grail. While not based in historical fact, this quest proves to be a compelling one. While the bulk of the narrative is taken up by Hugh's story, I also enjoyed the short chapters set in Oxford that feature the Best-Selling Author, the College Master and the College fellows. The fellows prove to be an eccentric cast of characters, and their attempts to influence the crafting of the novel are entertaining. These chapters also contain an element of mystery, and the slow unfolding of this mystery helps to keep the reader engaged with the modern day component of the narrative. While some readers may find the alternation between Hugh's story and the story at Oxford to be jarring, I found the transitions smooth and had little difficulty with the switches in time or setting. I also appreciated that the fellows, particularly the history fellow, serve as fact checkers for this novel, making note of how Hugh's Crusading adventures match up with history. They also serve to illustrate the linkages between Hugh's story and well known Grail romances. Recommended to fans of historical fiction interested in the Crusades and readers who enjoy historical thrillers. Note: I was provided with a copy of this novel from the publisher in exchange for a fair and honest review.